It’s been awhile since we posted an update here in the Thememeister blog, and believe me, that’s certainly not from lack of activity! No, on the contrary, we’ve been very busy bees here at CMSTF - releasing numerous new themes over the last couple of months. Those theme releases have included the counseling, church, spa/yoga and coffee shop categories. In other words, it’s been both a prolific and broad-spectrum theme publishing period for us! Our latest theme release came just yesterday, when we released the first in a new series of WordPress counseling themes titled “Encora”. 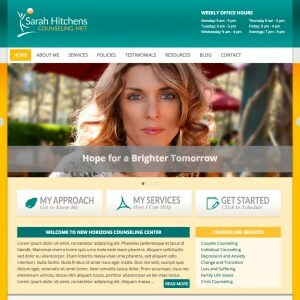 Our Encora-1 therapist theme offers a compelling combination of warm and cool tones, and features an intuitive layout that will allow therapy clients and new visitors alike to quickly and easily find the information they’re looking for. 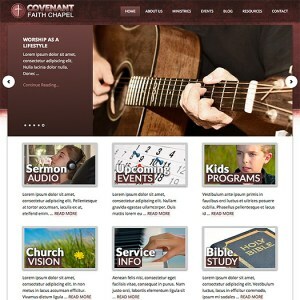 Prior to this most recent release, we’ve also published a series of WordPress church themes over the last 6 weeks or so. Our “Sanctify” series is already proving a popular choice for faith communities, as is our “Refined” theme series. The “Sanctify” series is a throwback to a design scheme from a few of our historically most popular theme choices. We’ve taken the best elements of those popular themes and updated them with some more modern design conventions - such as a wider template size and flatter design elements. These subtle changes create a series of themes that represent a striking, user-friendly way to launch a new church website. The “Refined” church theme series is a collection of Genesis framework WP sites that feature bold color contrasts and subtle textures to offer memorable yet user-friendly designs. As I mentioned earlier in the post, the last couple of months have also seen the release of some genre-specific business themes: namely two themes in our coffee shop theme series titled, “Javala”, and two in our spa/yoga studio WordPress themes series, titled “Tranquila”. We’ve had some great feedback about these new themes as well. They really do work to the specific needs and strengths of the business markets they were created for. You’ve probably noticed by now that, here at CMSTF, we love to develop industry-specific websites. We don’t do generic. There are plenty of companies who do, if that’s what you’re looking for. 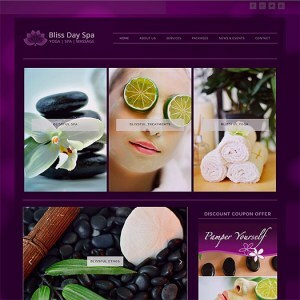 No, here at Themefactory we craft WordPress website themes that cater to the specific needs of specific businesses. And we enjoyed our foray into the coffee shop and spa/yoga studio markets with these two new theme series. If you know someone in need of a website to represent one of those business types, send them our way, we think these new offerings would be a great fit! So now that this prolific period is done, are we planning on slowing down? Not a chance! We’re enjoying ourselves too much! And we love developing Genesis framework WordPress themes for our audience. Genesis is such a robust, stable, user-friendly framework to build with, that we really don’t plan on using anything else! So check back regularly, because you can expect new theme releases on nearly a weekly basis. And if you have an idea for a business market you’d like us to tackle, drop us a line. We’re always open to feedback from you!